With a $10 billion program ceiling and a five-year base period with one five-year option, 8(a) STARS II allows for long-term planning of large-scale program requirements while strengthening opportunities for 8(a) small businesses. Period of performance: August 31, 2011 to August 30, 2016, with one five-year option from August 31, 2016 to August 30, 2021. The 8(a) STARS II functional areas correspond to four North American Industry Codes (NAICS). For each FA, the work examples in the bulleted list under each NAICS code description are representative, not all inclusive. This U.S. industry comprises establishments primarily engaged in writing, modifying, testing, and supporting software to meet the needs of a particular customer.. This U.S. industry comprises establishments primarily engaged in planning and designing computer systems that integrate computer hardware, software, and communication technologies. The hardware and software components of the system may be provided by this establishment or company as part of integrated services or may be provided by third parties or vendors. These establishments often install the system and train and support users of the system. This U.S. industry comprises establishments primarily engaged in providing on-site management and operation of clients computer systems and/or data processing facilities. Establishments providing computer systems or data processing facilities support services are included in this industry. This U.S. industry comprises establishments primarily engaged in providing computer related services (except custom programming, systems integration design, and facilities management services). Establishments providing computer disaster recovery services or software installation services are included in this industry. 8(a) STARS II industry partners are classified in two Constellations. Industry partners in both Constellations have competitive pricing and technical proficiency. Constellation II also includes industry partners with an additional industry credential, such as Capability Maturity Model Integration (CMMI) or ISO 9001 (quality management system). 8(a) STARS II allows directed task order awards for orders under $4 million, including options. Orders more than $4 million must be competed among the industry partners in your chosen constellation and functional area. GWACs have the same low contract access fee as GSA Schedules. 8(a) STARS II offers fixed price, time and materials, labor hour, and blended task order types, providing greater flexibility in procuring different types of IT products and services and meeting your mission requirements. Encouraging maximum small business utilization in contracting. 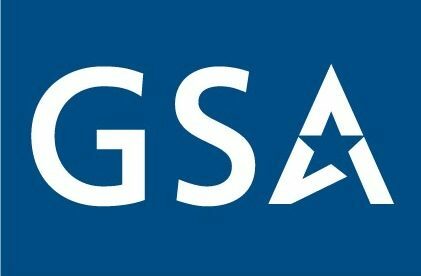 The Department of Defense issued a memo on July 14, 2011 encouraging the use of 8(a) STARS II, among other small business GWACs, to meet the Department’s small business contracting and information technology needs.